Based on the bubble-filled promo pics, we’d expect nothing less. 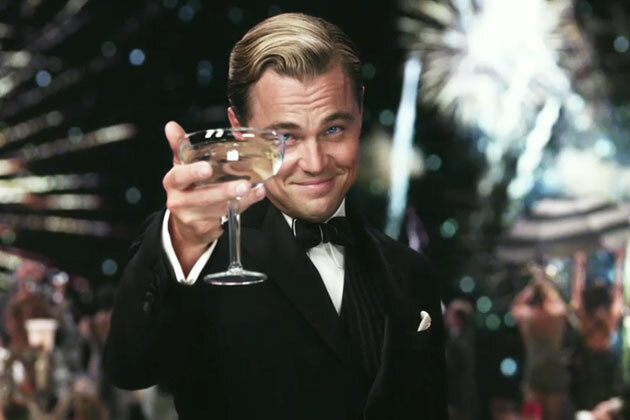 At last night’s Gatsby premeire, people drank a lot of bubbly. Champagne? Oh no, they got some Ferrari Metodo Classico. I actually put this in my Cosmo bubbly story (check it here) and thought I told you guys about it but I never did. It’s a good one to know about because it’s a great value (about $25) and super yummy. It’s a sparkling Chardonnay from Alto Adige, which as many of you know is my fave wine region in northern Italy. 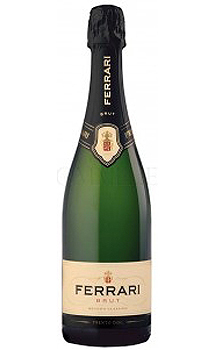 Bigger bubbles than Champagne but has a refreshing lemony-apple flavor. And it’s all chi-chi – they serve it at the Venice Film Festival and the Met Costume Institute gala dinner and after-party, so no wonder it made it into the Gatsby party. Can’t wait to see it, although I’m guessing I won’t be able to count all of the glasses of Champagne they have. Will leave that to my wine count for the Baz-less and far less exuberant Mad Men. Tags: bubbly, champagne, chardonnay, cosmo, gatsby, italy. Bookmark the permalink. I have to say, I think I want to put that top pic of Leo holding that coupe as my screensaver or something. YUM. I don’t see any reason not to. Except that it might make you want to drink Champagne at all hours of the day! Ahh the resurrection of the coup! It is a pretty nice brut! Great for a Gatsby themed party!